Flash Annual 4 features Professor Zoom/Eobard Thawne and introduces the team he’ll be setting against the Flash in the current storyline. 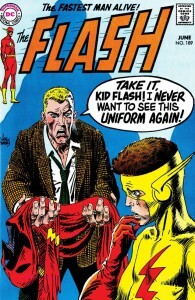 Flash Season Zero Chapter 24 concludes the misleadingly-named digital-first series set during season one of the TV show. It’s part two of a story featuring Caitlin Snow and a danger left behind by one of her old mentors. 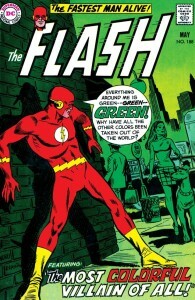 The print edition featuring both parts as Flash Season Zero #12 will be out in September. DC has not announced any plans for a follow-up, but I wouldn’t be surprised to see one launch with season two. 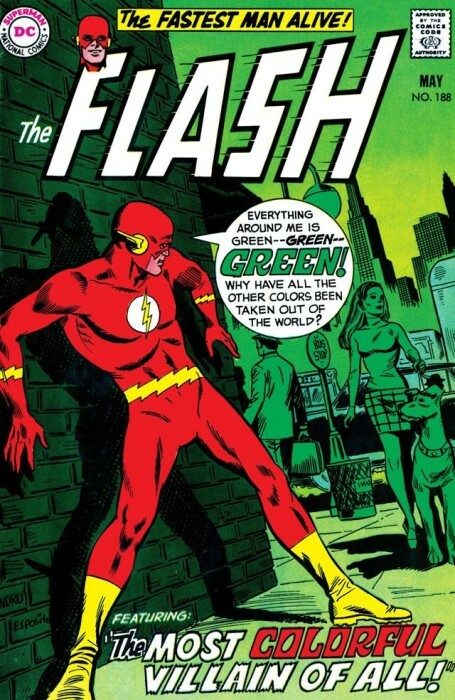 Flash #188 (1969): Everything turns green, as the Flash is unable to see any other colors. Surprisingly, the “most colorful villain of all” isn’t the Rainbow Raider, who wouldn’t appear for another ten years. This entry was posted in Out This Week on July 29, 2015 by Kelson.